Palliative Care Versus Hospice - What's the Difference? Hospice vs. Palliative Care: What’s the Difference? Hospice and palliative care have much in common. Both are for people with serious illnesses. Both follow treatment goals that aim to relieve pain, increase comfort, and improve quality of life for you and your family. Both are sensitive to what matters most to you – including your personal, cultural and religious values, beliefs, practices and preferences. And both are delivered by a team of professionals who can work alongside your regular doctors to provide an added layer of support and expertise. What is my diagnosis? | Who is eligible? | Who is part of the care team? Hospice is for people who are terminally ill and whose remaining lifespan is estimated at six months or less. Learn more about hospice care here. Palliative care is for people at any stage of a serious illness, and their condition does not have to be incurable. Learn more about palliative care here. What is the Difference Between Hospice & Palliative Care? The primary difference in hospice care vs. palliative care is that hospice is for patients with a limited lifespan. In fact, hospice care is a type of palliative care – given to address the unique needs of people with terminal illness and their families. Both palliative and hospice care help patients living with a variety of medical conditions, such as cancer, heart disease, dementia, stroke, and many others. Palliative care can often accompany curative treatments, if the patient is not on hospice care. In short, all hospice care is palliative care, but not all palliative care is hospice. Have more questions about hospice and palliative care? Call us 24/7 at (800) 229-8183. Find out if palliative or hospice care is the right choice for your loved one now. Palliative Care vs. Hospice: What’s My Diagnosis? Palliative care is provided to seriously ill patients coping with pain, distressing symptoms, stress or other serious side effects of their illness or treatments meant to cure it. Hospice care is provided to seriously ill patients who have a prognosis of six months or less, in their doctor’s best judgment, if the disease follows its normal course. 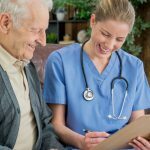 Palliative Care vs. Hospice Care: Who is Eligible? You are eligible for palliative care if you are living with a serious illness and need solutions for pain, symptoms, and stress of your serious illness, or the treatments to cure or manage it. A palliative care expert will help you understand and navigate your medical options as your illness progresses. Palliative care is appropriate for anyone, at any age, and at any stage of serious illness. You may be referred at the time of your diagnosis, during treatment (such as chemotherapy, radiation, dialysis, physical therapy, and other interventions), or after treatment has ended. Palliative care can be provided to someone who may be cured of their disease (such as a child with leukemia), a person who will live with their condition for a long time (as with heart disease), or who has a progressive illness (such as Alzheimer’s disease or incurable cancer), or to a family needing explanations and support in order to make difficult care decisions during routine hospitalizations or times of crisis in the Emergency Department or Intensive Care Unit. Watch this video about a palliative consultation in the Emergency Department of a local hospital helped one family work through a difficult care decision. Palliative care is for you if your quality of life is impacted by your illness or treatments to cure or manage it. Are you living with the following? Palliative care is for you if you’ve had multiple hospital visits or hospitalizations in the last year or if you’ve survived a serious illness but have been left with pain or other side effects or symptoms. Hospice care is available for you or your loved one if you’re considering stopping curative treatments because they aren’t working or the side effects outweigh the benefits. Hospice care is for you if your medical provider said that you have six months or less to live if your illness follows its normal course. You can also change your mind and stop hospice care any time, and return to curative treatment for your illness. 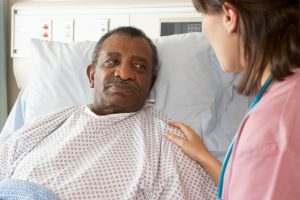 Both palliative and hospice care physicians and nurses are trained in having sensitive conversations with patients and families regarding their illness, the treatment and comfort options available at each stage, and working through what care a patient would want – or not want – if he/she should become unable to communicate these wishes. 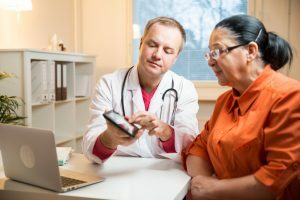 The field of palliative care is relatively new, so a lot of people – including many doctors and nurses – do not understand the benefits of this service. They may also confuse palliative care with hospice care. 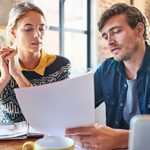 Because this lack of understanding is common, patients and families may need to educate their health care providers about these types of care. They may have to advocate for the palliative care that they are entitled to. Who is Part of the Care Team? Palliative care includes a palliative-trained, board-certified physician and/or an advance practice nurse working in collaboration with the patient’s personal physician or specialist. 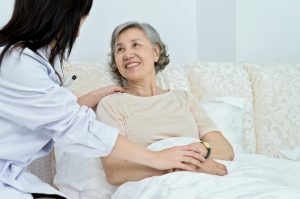 Palliative Care vs. Hospice Care: What Services are Included? Palliative care includes consultations in conveniently located offices, hospitals, long-term care communities, or at home (if applicable). Visits are covered by Medicare, Medicaid and most commercial insurers with applicable co-pays or deductibles. 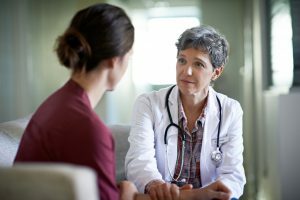 Palliative care experts work to provide an extra layer of support for the care you are already receiving from your specialists and primary physician. Hospice care, like palliative care, promotes physical, emotional and spiritual quality of life, as you define it, according to your personal, cultural, and religious values, beliefs, practices, and preferences. 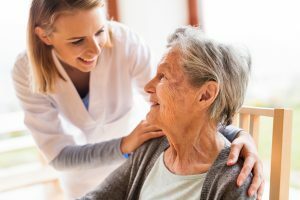 Hospice care provides regular visits at your home, assisted living or nursing facility, or inpatient hospice center by a team of end-of-life care specialists. A hospice care team includes your physician and specialists working with a hospice physician, nurse, social worker, certified home health aide, spiritual support counselor, and volunteer (if desired). Hospice offers peace of mind with 24/7 access to an on-call team to answer your questions at any time of day or night. Hospice is a valuable benefit of Medicare, Medicaid, and the Veteran Health Administration’s Standard Medical Benefits Package. Most commercial insurers cover hospice care with applicable co-pays and deductible. Benefits include diagnosis-related medications and medical supplies delivered to your home. And just like palliative care, hospice enables you and your family to spend time focusing on what matters most to you, sharing these preferences with your family, and recording these wishes in advance care planning documents such as Five Wishes or the New Jersey POLST forms. Palliative Care vs. Hospice Care: Who Pays? Palliative care is covered by Medicare, Medicaid, the Veterans Health Administration, and some commercial insurers with applicable co-payments and deductibles; sliding scale for the uninsured. Hospice care is covered by Medicare, Medicaid, the Veterans Health Administration, and most commercial insurers with applicable co-payments and deductibles; there is a sliding payment scale for the uninsured, and assistance for those with no financial means to access hospice care. People often fear that receiving palliative or hospice care amounts to “giving up.” In fact, the opposite is true. Palliative and hospice patients have more control over their care — including decisions about what treatments to accept or reject. They aren’t giving up anything; they’re getting an extra layer of support. A person choosing hospice care has decided the risks or demands of any possible cure outweigh the potential benefits. Palliative and hospice care help patients shift goals and achieve new priorities – whether that means to continue living at home, spend quality time with family and friends, enjoy favorite activities or hobbies, or make it to important events or milestones. So instead of “giving up,” patients receiving palliative or hospice care are focusing on what’s most important to them – and making every moment count. Samaritan Healthcare & Hospice offers palliative and hospice care. Here’s a quick comparison between these two programs. Samaritan is South Jersey’s first and largest hospice provider, with more than 30 years of experience. To relieve pain, manage symptoms, and enhance life for patients near the end of life and their families, and to provide grief support. Services provided to seriously ill patients (and their families) who have a prognosis of six months or less, in their doctor’s best judgment, if disease follows its normal course. Patient is not receiving curative treatments and has a life expectancy of 6 months or less (see “Prognosis” above). Board-certified hospice physician, patient’s personal physician(s) and specialists, nurses (RN and LPN), master’s-degreed social worker, spiritual support counselor, certified home health aide, bereavement counselor, trained volunteer, dedicated on-call staff. As needed: dietitian, wound care specialist, physical, occupational and speech therapist. – Palliative consultation and follow-up visits at the hospital, home or facility.- Consultation with physician, care team, patient and family.- Patient assessment and treatment plan recommendations.- Medical, social, emotional, and spiritual support. – Clinical care team visits at home, long-term care facility or hospital. – Four levels of hospice care: routine, continuous, respite, and inpatient care. – Complementary therapies as appropriate, including certified massage, music, pet and aromatherapies. – Grief support for family members for 13 months after patient’s death. – Covered medications and supplies, durable medical equipment such as a hospital bed and bedside commode. Covered by Medicare, Medicaid, VA, and most commercial insurers with applicable co-payments and deductibles; sliding scale for the uninsured. Talk to your family and your doctor about palliative care vs. hospice, as well as your goals of care and whether palliative care and/or hospice might improve your quality of life. Have more questions? Contact us at (800) 229-8183 or complete the confidential form at the top of the page.